Call / Email for your tickets. The Peter & Will Anderson Trio Plays Gershwin! 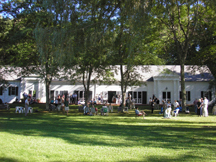 (Falls Village, CT) America’s Oldest Continuing Summer Chamber Music Festival, Music Mountain, continues its 88th season with another weekend of exceptional music. The acclaimed Arianna String Quartet with guest artist Victoria Schwartzman, Piano offer Haydn, Brahms, and Dohnanyi on Sunday, July 9th (3pm). The weekend begins with The Peter & Will Anderson Trio playing the best of George Gershwin on Saturday, July 8th (6:30pm)! Concerts are scheduled thru September 17th. Peter and Will Anderson join guitarist Adam Moezinia on Saturday evening to present a program exploring the rich legacy of George Gershwin, with songs including It Ain't Necessarily So, They Can't Take That Away from Me, Summertime, I Got Rhythm, and Embraceable You. Peter and Will Anderson are one of the most extraordinary set of brothers performing music today. Known for their unique renditions of classic jazz songs and innovative original music, they have performed throughout the US and Japan. The New York Times called the duo “virtuosos on clarinet and saxophone.” An extremely accomplished guitarist, Adam Moezinia has shared the stage with many great artists and performed at venues across the country. As an accomplished young artist, Adam continues to perform and teach in the New York City area. Keeping with long-standing tradition, the Saturday Twilight Series features pre-concert dinners at the quaint Falls Village Inn. Experience a piece of history in this 175-year-old Inn before listening to the best of Gershwin! Sunday’s program featuring Arianna String Quartet with guest artist Victoria Schwartzman, Piano will include Haydn: String Quartet in A Major, Opus 20 # 6; Brahms: String Quartet in A Minor, Opus 51 #2; and Dohnanyi: Piano Quintet in C Minor, Opus 1. Hailed for their outstanding musicianship, the Arianna String Quartet has firmly established itself as one of America's finest chamber ensembles. The Arianna Quartet has appeared throughout North America, South America, Europe and Asia, with frequent visits to Brazil and South Africa, collaborating with many of the world’s finest musicians. The ensemble has been full-time faculty at the University of Missouri-St. Louis since 2000 and is the Ensemble-in-Residence at the Touhill Performing Arts Center in St. Louis. Victoria Schwartzman is a classical pianist currently based in New York City. An avid solo and chamber music performer, she regularly appears on stage throughout the United States, and maintains an active studio in New York. Ms. Schwartzman is as committed to performance as she is to education. She is on the coaching faculty in the Vocal Department at Montclair State University and Long Island University Post. Ms. Schwartzman is also the co-founder of the Newburgh Music Festival, a week long immersive classical music program devoted to both solo performance and chamber music, located in Newburgh, NY. Music Mountain is located in Falls Village, Connecticut on Music Mountain Road, where a short scenic drive will bring you to Gordon Hall atop Music Mountain. Free parking and picnic facilities are available. Music Mountain is supported, in part, by the Connecticut Commission On Culture & Tourism and the National Endowment for the Arts. Chamber music concerts continue with Penderecki String Quartet with Pamela Mia Paul, Piano (July 16); Ariel Quartet with Soyeon Kate Lee, Piano (July 23); Harlem String Quartet with Fei-Fei Dong, Piano (July 30); and Aeolus String Quartet with Geoffrey Burleson, Piano (August 6). The Saturday Evening Twilight Series continues with Alexis Cuadrado Group (July 15); Anouman Gypsy Jazz Quartet (July 22); Alan Ferber Nonet (July 29); and Ben Kono Group (August 5). Saturday evening pre-concert dinner at the intimate Falls Village Inn (5pm) is $70. Ticket includes dinner & concert. Seating is limited; reservations must be made 24 hours prior to concert date. Specially Priced Concerts are as follows: tickets for the Labor Day Benefit Concert & Reception on Sunday, September 3 (3PM) with The Shanghai String Quartet, guest artist Qing Jiang, piano, are $75. Tickets for the closing concert on Sunday, September 17 (3PM) with The Juilliard String Quartet are $60. Chamber Music Concerts are $35. Twilight Series Concerts are $30. Children ages 5-18 are admitted FREE for ALL CONCERTS when accompanied by a ticket holder. Saturday Twilight Concerts are at 6:30pm. Sunday afternoon Chamber Music concerts are at 3pm. Group rates are available. Discounts apply through participating organizations. For a complete summer schedule, special ticket prices, and to download a ticket order form visit www.musicmountain.org or call 860-824-7126. Music Mountain Welcomes Arianna String Quartet with Victoria Schwartzman, Piano plus The Peter & Will Anderson Trio Plays Gershwin! (Falls Village, CT) America’s Oldest Continuing Summer Chamber Music Festival, Music Mountain, continues its 88th season with another weekend of exceptional music. The acclaimed Arianna String Quartet with guest artist Victoria Schwartzman, Piano offer Haydn: String Quartet in A Major, Opus 20 # 6; Brahms: String Quartet in A Minor, Opus 51 #2; and Dohnanyi: Piano Quintet in C Minor, Opus 1 on Sunday, July 9th (3pm). The weekend begins with The Peter & Will Anderson Trio playing the best of George Gershwin on Saturday, July 8th (6:30pm)! Chamber Music Concerts are $35. Twilight Series Concerts are $30. Children ages 5-18 are admitted FREE for ALL CONCERTS when accompanied by a ticket holder. Visit www.musicmountain.org or call 860-824-7126.